Welcome to ICSL at York U! 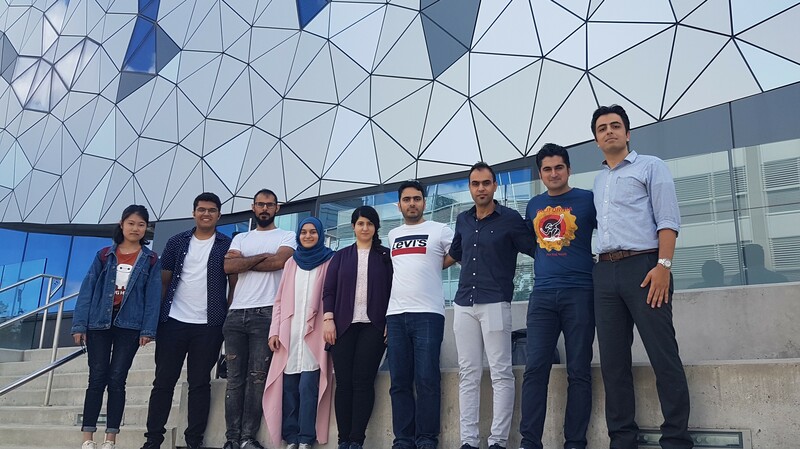 Our research group in the Department of Electrical Engineering and Computer Science at York University conducts research on design, development, and experimental characterization of microelectronic circuits and systems for biomedical applications. Alireza Dabbaghian and Tayebeh Yousefi presented their research work in the CMC (Canadian Microelectronic Corporation) TEXPO. Their poster was titled "A 9.2-gram 8-Channel Fully-Flexible Wireless Surface EEG Monitoring and Diagnostic Headband with Motion Artifact Removal ". May 2018: Sam Guraya, Syyeda Fatmi, Pooria Shafia, and Tianyu Zhan started theur internship in ICSL this month. Their internships are supported through NSERC USRA, LASSONDE LURA, and MITACS Globalink programs. ICSL partners with Panaxium Inc.
March 2018: Our paper “Artifact-Tolerant Opamp-less Delta-Modulated Bidirectional Neuro-Interface” is accepted for presentation in IEEE Symposia on VLSI Technology and Circuits, Honolulu, Hawaii, June 2018. 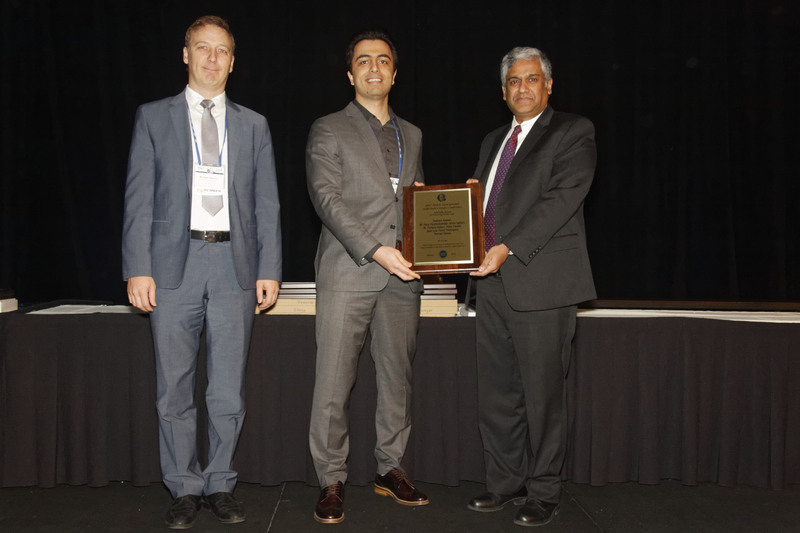 Hossein won the ISSCC Jack Kilby Award! October 2017: Our paper "50nW 5kHz-BW Opamp-Less ΔΣ Impedance Analyzer for Brain Neurochemistry Monitoring" is accepted for presentation in IEEE International Solid-State Circuits Conference (ISSCC), San Francisco, Feb 2018. September 2017: Our paper "Rail-to-Rail-Input Dual-Radio 64-channel Closed-Loop Neurostimulator" is accepted for publication in IEEE Journal of Solid State Circuits. 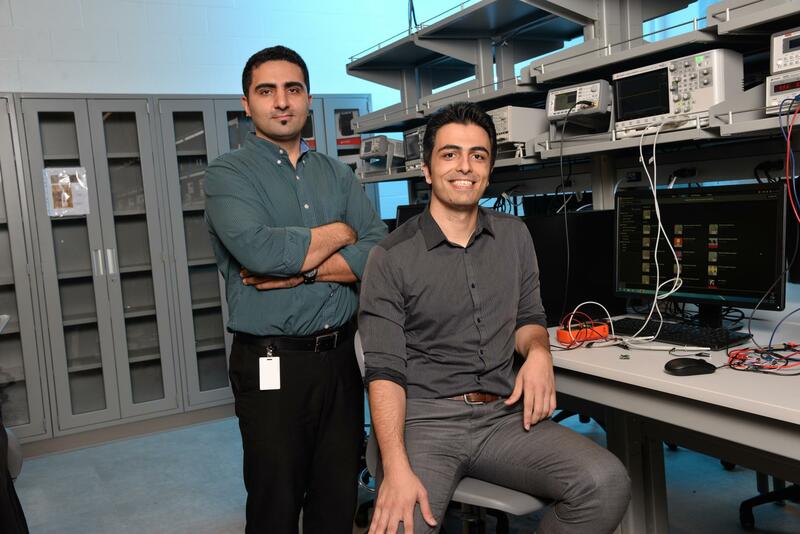 August 2017: Hossein was recognized as one of Lassonde research leaders for his research work on implantable devices for epilepsy seizure detection. June 2017: Yonghang Tian started his internship in ICSL. He joined us from the University of Electronic Science & Technology of China(UESTC). His research project will focus on the design and implementation of backend digital signal processing of a wireless wearable EEG recording system. May 2017: Sam Guraya and Mary Choi started their internship in ICSL. Sam will work on a multi-channel fully flexible wireless wearable EEG recording system with motion artifact removal. Mary will work on power-spectral analysis and feature extraction of EEG signals of epileptic subjects. May 2017: Two of our paper An Area- and Power-Efficient Mixed-Mode Fully Programmable FIR Filter for Biomedical Interface Microsystems Fully Discrete-Time Neural Recording Front-Ends: Feasibility and Design Considerations are accepted for lecture presentation in IEEE Midwest Symposium on Circuits and Systems, Boston, August 2017. April 2017: Our paper "Closed-Loop Neurostimulators: A Survey and A Seizure-Predicting Design Example for Intractable Epilepsy Treatment" is accepted for publication in IEEE Transaction on Biomedical Circuits and Systems. 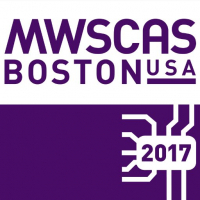 October 2016: Our paper "All-Wireless 64-channel 0.013mm2/ch Closed-Loop Neurostimulator with Rail-to-Rail DC Offset Removal" was accepted to be presented in IEEE ISSCC 2017.